Ba hopes that in time the trees will bear black fruits that can be used as goat-feed. He and his fellow villagers are also planting the Sahel acacia, which produces a gum with medicinal properties, the tamarind, which has edible bitter-sweet fruit, and the desert date or “sump” tree, which bears small fruits whose oil can be used in cooking. These are all thorny trees with small leaves, the only kind that can survive in the arid conditions. “The wall is just the final result. What we're looking for… is to protect and improve the eco-systems of these Sahel regions, and [through this] to improve the diets, health, lifestyle and environment of the Savannah people,” said Matar Cissé, director general of the national agency implementing the project, in the Senegalese capital, Dakar. Chronic drought has made it increasingly difficult for Fulani nomads to make a traditional living as pastoralists. Ba, 42, a Fulani who has settled in the village of Mbar Toubab, 100km south of where the Sahara desert starts in neighbouring Mauritania, says herdsmen would consider settling in such villages if they could earn a living by growing and selling fruit and vegetables. 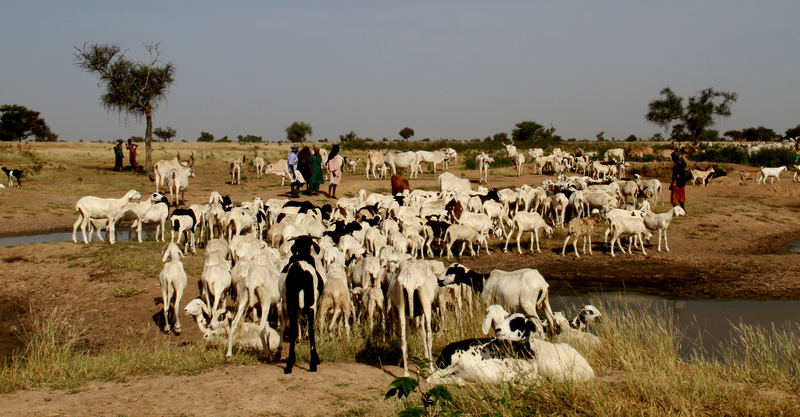 A Niger government study found that pastoralists with small herds had lost 90 percent of their livestock in successive droughts. Many villagers thought something like this would never be possible. “We’re growing so many different types of vegetables that normally only grow where water is deep,” Ka told IRIN. Such a project must be based on market research that identifies who will be able to buy the vegetables, where, and at what prices, if it is to support livelihoods and food security, said Peter Gubbels, West Africa coordinator of NGO Groundswell International and author of the Sahel Working Group’s recent report, Escaping the Hunger Cycle: Pathways to Resilience in the Sahel. The Great Green Wall could play an important role in environmental management and supporting nomadic livelihoods, but it must not be seen as “the solution” to food security, Gubbels said. The project risks being too ambitious by taking on desertification as well as food security, which are separate issues, requiring separate solutions. Food insecurity in the Sahel is largely due to a growing gap between rich and poor, with an “underclass of the bottom 30 percent” living in chronic poverty, he said. Solutions include subsidized prices, social protection schemes, and disaster reduction, among many others. Desertification is what forces people to migrate. “In the popular imagination desertification is about billowing sand dunes advancing at a rate of two kilometres a year, but… [it] is the overuse of natural resources, over-grazing, intensive farming and the subsequent erosion of land-pockets that become completely denuded and then join together,” Gubbels said. Tree-planting projects to combat desertification work best when the trees are owned by the farmers themselves, said Chris Reij, coordinator of the African Regreening Initiative. The most innovative projects to improve the lives and livelihoods of pastoralists are being developed by the pastoralists themselves, with the help of NGOs, said Reij. In Niger they have established settlement sites where they plant trees and market gardens alongside health and education services. Pastoralists then migrate from these points. Rather than using such schemes to encourage the nomads to settle - which often leads to tension with sedentary communities - a combination of mobility and agriculture is the most risk-averse survival strategy. “[Partial] mobility…is a much better and less risky strategy than staying in one place… [which] leads to over-grazing,” and if the area does not get much rainfall that year, “you are much more vulnerable,” Gubbels pointed out. 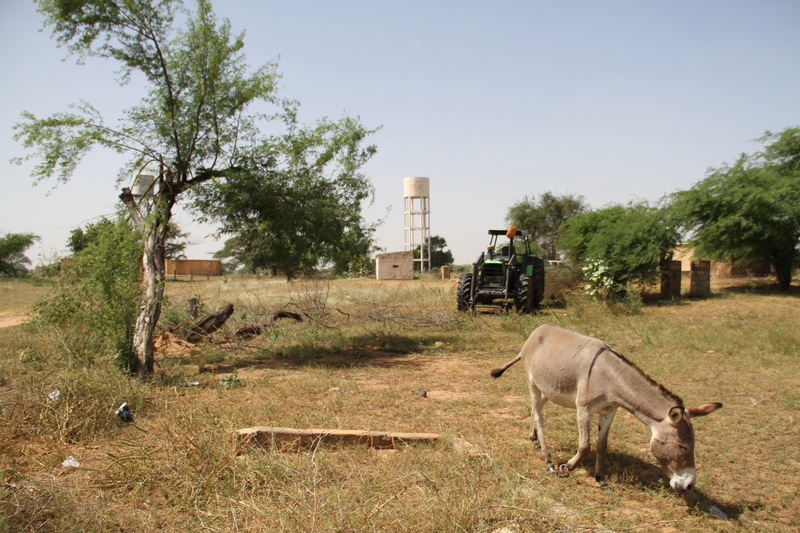 In a worst-case scenario, “[Without] sufficient technical guidance and support… [for the Great Green Wall], in a few years you'll see a broken-down tractor, a scattering of a few small trees in the village plantation, a few families benefiting from the market gardening, and little positive overall change, with the poorest families as chronically vulnerable as before,” Gubbels said. However, if the ambitious project is seen as a framework for funding and a platform for sharing information across the 11 Sahelian states, he said, it could positively impact the lives and livelihoods of pastoralists.